In 1995 the Parish Councils of Willington and Repton recognised that they were approaching the centenary of the freeing of the toll, in 1998, from the bridge across the River Trent, which separates the two villages. In 1898 this was an occasion of great importance to both villages and parades, bands and a huge feast were organised on August 1st of that year. In order to ensure this important event was properly celebrated again a joint committee was formed to organise some form of marking of the event. This cumulated in a the opening of a bridge viewing platform, a parade of bands and cars etc from Repton to Willington, a fete on the fields between the two villages and then an evening feast in Repton School grounds night plus many other events, again on August 1st, exactly 100 years later. Finding so much information was eye opening too many and the question was asked 'Why not continue to find out more about our village?' 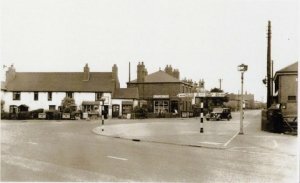 An inaugural meeting of what became Willington Local History Group was therefore held on September 8th 1998 and a committee elected. Since that time monthly meetings have been held, from October to April, in The Old School, in Castleway, together with a summer visit to a place of local interest. The meetings are still very well supported and much more is being slowly established about the past of Willington. This site will contain details of some of the knowledge gained.